Only $20 for $40 at Bloom.com! Save on OPI, Stila & More and Shipping is FREE! DoodleDeals, a daily deal site, is offering a $40 voucher to Bloom.com for only $20! Plus shipping is FREE! 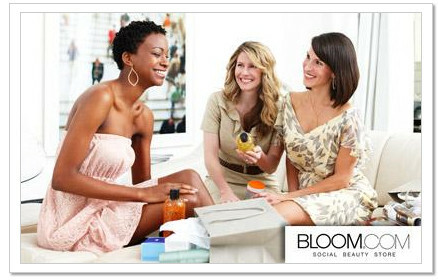 Bloom.com has high end cosmetics, skincare, hair care, fragrances & more. There are tons of good brands like OPI nail polishes to Stila products, Pixi, Chi & lots lots more! I've ordered from Bloom.com a few times before and I've been super happy with the service & products! Limit 1 per person. Deal price not valid toward tax. Full voucher amount must be used in 1 transaction. No cash back or rollover credit. Not valid with any other offer. Some brands excluded. First order may take longer than the standard 3 to 4 days. Expires 6 months from purchase date.